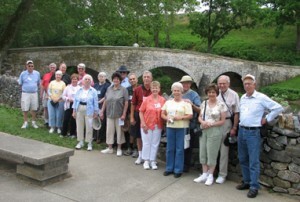 Experience the Road Scholar Historic Gettysburg program as one of our volunteer Group Leaders. Our Group Leaders are asked to chaperone the group during the program week by sitting in on class lectures, battlefield tours and town walks and helping to make sure the program runs smoothly. As a Group Leader, you will also get to enjoy complimentary meals and some of the best entertainment Gettysburg has to offer. The program week is a lot of fun, educational and offers you the opportunity to share your hometown hospitality. An extra perk is that you can receive a 15-20% discount on ALL Road Scholar programs. If you would like to volunteer with Road Scholar Gettysburg , contact Nancy Lilley, Road Scholar Director.